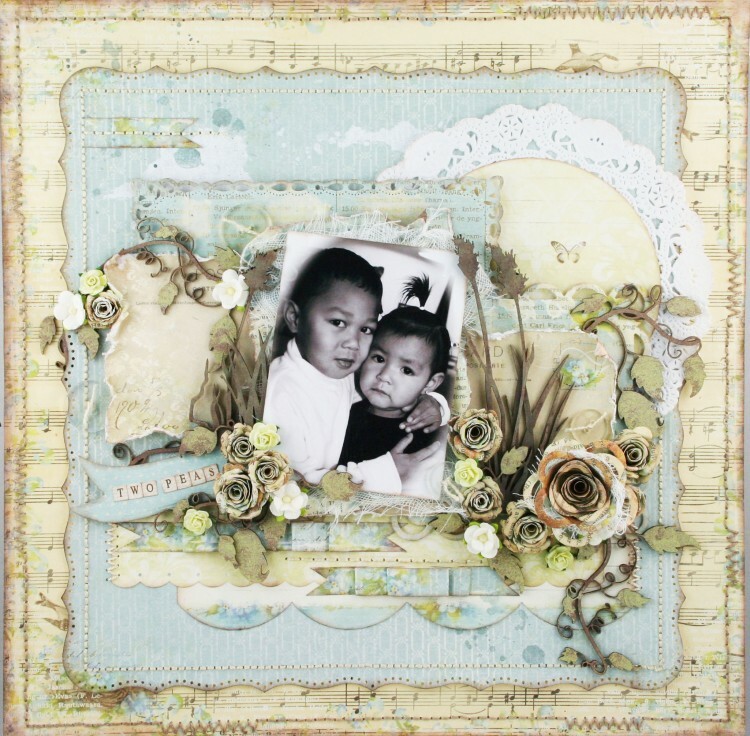 This is a layout that I made with the ‘Forget Me Not’ Collection. This is an earlier collection by Pion Design, but still one of my favorites! 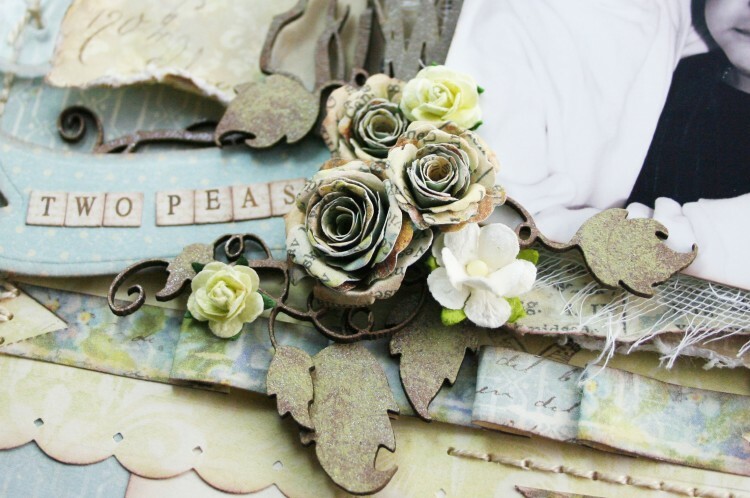 Most of the flowers on this layout were made from the gorgeous papers as well. Such a beautiful LO. 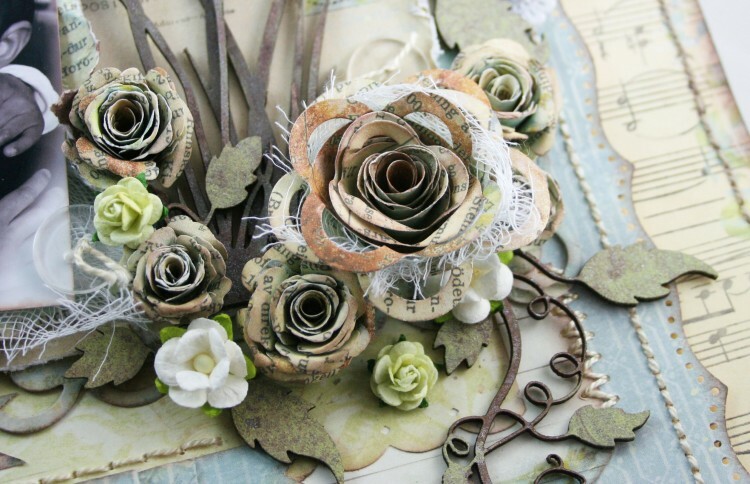 Love all your flowers. Hope you have a blessed day. those two peas are adorable! and the LO is beautiful! This page is fantastic!! Love all the details.